So too is it with dating after divorce; every person's situation is so different that there just isn't one "right" way to do it. So, here's the first thing to know: don't let anyone make you feel like you aren't doing the dating thing correctly if you are in a good place emotionally. That's the key. The one thing that psychologists and family counselors seem to agree on is that there are several emotional issues you should first address before diving back into the dating pool. Your marriage has died; it's important to mourn that loss. If you are still heartbroken over the loss and obsessing on who your ex is dating or what they might be doing, you may be too distracted to start a healthy relationship. If you are still feeling intense anger or betrayal, make sure you aren't dating just to have someone to vent those feelings too. Your date doesn't care; he or she doesn't want to be your therapist. If you are feeling scared, sad and depressed, don't rush into a new relationship to fill the void. Chances are that a reckless new relationship will only make things worse. There are a lot of bad feelings that can come along with a divorce: anger, fear, guilt, disgust. Many people direct these feelings at themselves, severely damaging their self-esteem. It's important to overcome those negative self-thoughts before you start dating again. If you don't, you may make choices you wouldn't usually make such as jumping into a bad relationship or engaging in a one-night stand. Unhealthy cravings can also be part of the emotional turmoil of divorce. If you have been numbing the pain of separation through alcohol, drugs, food or work, it's important to deal with this before starting to date. There are going to be terrible first dates and people you are interested in who don't call you back. It's part of the journey. If you're ready to date again, then you are also prepared to laugh at occasional mistakes, shed a few tears over occasional disappointments, but never despair. Every experience is part of a journey toward something new and better. You also need to be prepared for emotional setbacks from the divorce itself. There are times, such as when a holiday or special occasion rolls around, that the pain of the divorce will resurface. Have a network of friends, family, and counselors who can help you work through these difficult times. 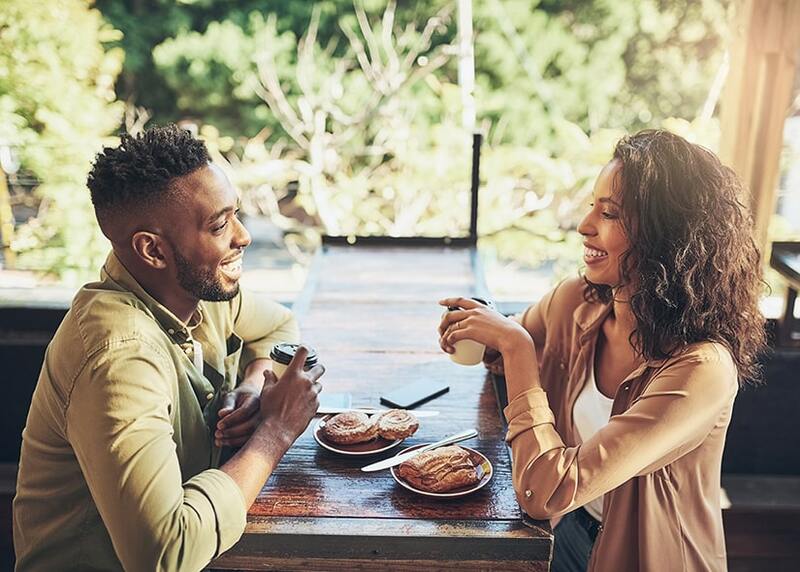 You are not alone if you're considering dating again after divorce; 40 to 50 percent of married couples in the United States divorce. There are thousands of people in the same boat as you, and resources to help you navigate the roller-coaster of emotions that come from saying goodbye to a spouse. And take heart: if a new marriage is something you hope for in the future, as a society we seem to be getting better at it. The U.S. divorce rate dropped 18 percent from 2008 to 2016, Bloomberg recently reported. Life always offers you a second chance; it's called tomorrow.